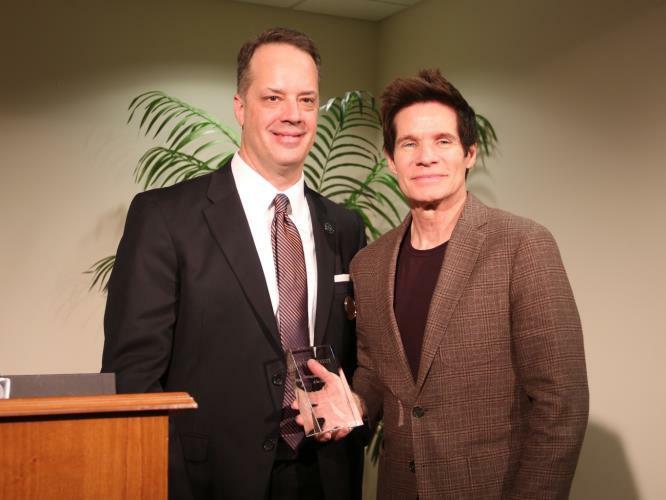 Dr. David Cooper was awarded the 2018 Distinguished Alumnus Award for Lee University’s Department of Behavioral and Social Sciences at a department breakfast during Homecoming. “Since his graduation from Lee, David Cooper has been advancing the behavioral and social sciences in his profession and vocation,” said Dr. Jeffrey Sargent, chair of the Department of Behavioral and Social Sciences. In addition to pastoring, speaking, and playing guitar, Dr. Cooper is a licensed professional counselor in the state of Georgia and a member of the American Association for Marriage and Family Therapy. He is also an adjunct professor at Richmont Graduate University. “Cooper has excelled in applying the knowledge and methods that he learned in psychology at Lee College, and he has incorporated this knowledge into his vocation,” said Dr. Sargent.